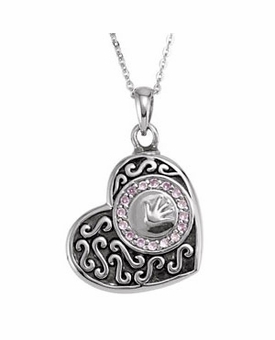 The Girl Handprint in Heart Sterling Silver Cremation Jewelry Necklace by Deborah J. Birdoes is part of her Inspirational Blessings line of stunning remembrance jewelry. 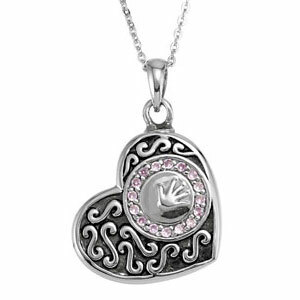 The heart-shaped pendant features a handprint surrounded by circle of pink stones. 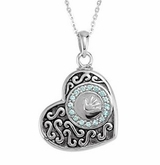 Each necklace includes an 18" chain with spring ring clasp and comes in a gift box. 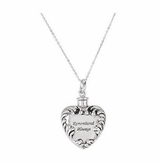 Also includes a funnel for filling, a black pouch, and a poem card with the poem and verse printed in English on one side and Spanish on the other. 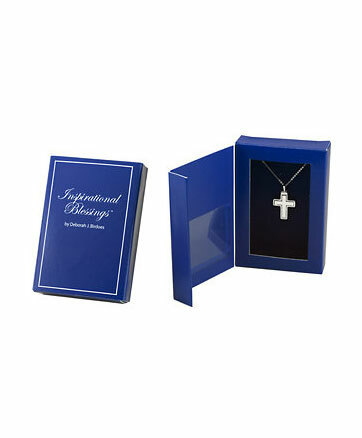 Packaged in a stylish gift box to protect the jewelry. 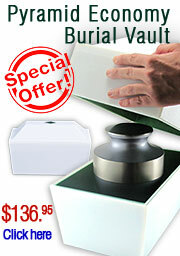 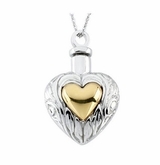 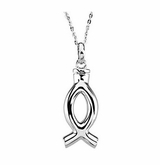 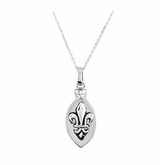 Holds a trace amount of cremains or other mementos.